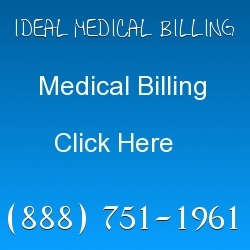 An orthopedic billing service matters because it is the lifeblood of most any company. Many orthopedic doctors spend their time helping patients with problems such as: preventing deformities, disorders, injuries of the skeleton, tendons and ligaments. A physician’s office is a place in which patients go to get help when they are in pain or in need of assistance. The problem with most orthopedic practices is that have poor medical billing and coding. In house billers are often not skilled enough in ICD-10 coding to get good enough reimbursements on claims for doctors. In fact, most doctors say that their in house billers often get them less than 70% of revenue that is due to them. If you are considering outsourcing to Ideal Billing Solutions, we are happy to say that most of our clients get 25% to 30% more revenue through working with us. Our coders are ICD-10 certified and they know billing well. We only hire the best possible candidates for the job. Since we only do billing, we are experts. We don’t have to worry about seeing patients. That is not our specialty. Our specialty is perfecting ICD-10 coding and making sure that you are paid on time and well. Enjoy seeing the smiles on our client’s faces when they tell us that they are earning good revenue. It is important to not have to focus on your billing. Your focus is on medicine that tries to prevent problems having to do with the bones and muscles. It is a fact that the #1 complaint from patients is that they do not have enough time to spend with their doctors. Doctors often tell us that they cannot spend that much time on their patients because they have to do medical billing as well. 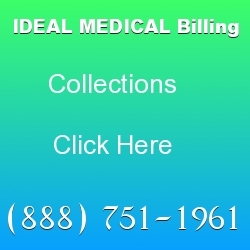 When physicians begin working with us, we handle the billing for them. It takes the pressure off. We are also experts and once we prove ourselves to doctors, they tend to stay with us. It is important to note that we have a full staff of employees working hard to see your success. Times are changing in 2016 and beyond. The healthcare industry was able to do both in house billing and their medical practice work before without a problem. Since ICD-10 got released in October of 2015, many doctors decided to outsource their billing. They claim that their in house billers were not getting enough revenue from the claims that were submitted. It is becoming more obvious that medical billing and coding needs expertise and years of training in billing before you can get good returns on your claims. Getting returns on your claims takes time and effort. If someone is skilled, they can usually get the claim paid within 30 days. You also need someone to check back on your old claims as well. Everything takes time and effort. 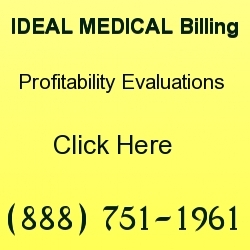 Orthopedics billing services are not always easy to find. Finding a specialist in healthcare is often difficult. Many billers work with different types of doctors such as oncologists and chiropractors. However, to find a specialist in your specific field is often a difficult practice. Thanks to modern day software and ICD-10 coding experts, the process becomes a little bit easier. Your main focus should be on the musculosketal system. You should not have to focus on billing because it is an entirely different set of focus. Our clients tell us that billing has become a full time job for them. Even office managers of healthcare organizations do not know how to manage their medical billing team because they do not understand coding or what coders do. When you outsource your billing, our managers know coding 100%. 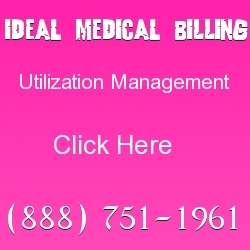 It is because they have years of experience themselves with billing. You will find that many of your clients would prefer to spend more time with you. However, they cannot because you must split your time between doing paperwork and spending time with your patients. Orthopedics today is complex in and of itself. Your time often requires you to do more research and analyzing your patient’s situation. It is never easy for an orthopedic doctor to make the decision between spending time with their patients and doing their paperwork. Both are important aspects of healthcare. However, doctors are finding that when they outsource their work to professional companies, they are seeing higher revenues. There is an expression that says that if you are spread out to much, you will often fail at whatever it is that you are doing. It is mainly because you are only one person. You cannot possibly manage your entire staff, do billing and also see patients. Your stress level will be to the max and you probably won’t see a whole lot of results. Only when you manage your office correctly will things turn out better for you. In the end, you will win. Did you know that orthopedics got its start in the middle ages? When soldiers were on the battlefield, they were often treated with bandages soaked in horse’s blood. This was because when the bandage dried, it created a stiff splint. The early stages of orthopedics are often unknown to most healthcare providers. I am sure that you are familiar with Hugh Owen Thomas. He was a founding pioneer of modern orthopedic surgery. When you study this important field of healthcare, you will come to realize that your patients need your time and wisdom in order to correct their ailments. If your claims are being rejected to many times, your coding is off and must be corrected. If you choose to keep your billing in house, then it is best to hire someone that is certified in ICD-10. If you work with someone that has little experience, we are almost certain that you will fire them because they do not know the ins and outs of ICD-10. You will find that your claims are often sent back to you multiple times and your revenues continue to decrease. It is not uncommon for physicians to scream at their medical billers these days. After all, they are stressed out because their profits are often not as high as they used to be. Doctors often fear outsourcing their billing. However, most find that they have no choice but to do so. The costs of running your own in house billing is enormous. Most doctors cannot afford to stay profitable. Medical companies make the process easier by charging only 4% to 15%. Depending on the work that is involved will often determine your percentage rate. Orthopedic surgeons that hire us to do their billing often tell us that they have spent over 8 years studying and never thought that they would have to become an expert in billing. We often here that it takes someone with a lot of education to know how to bill today. Doctors today know that no matter how gifted they are in medicine, they cannot earn enough money if they don’t have good billing practices. We often find that doctors want to spend more time with their patients and can’t. It is never easy to have your time spread too thin. Many doctors appear extremely stressed out when you visit them in their office. Most doctors say that they work more than 8 hours a day and often have little vacation time. The healthcare industry is changing and forcing more doctors to spend time with their paperwork.